Jo from Zuer Designs is back again today for another contributor post and once again, we have collaborated on a fun project. Both Jo and I have been so blown away by all of the great response from you guys on the printable hand lettered pantry labels! We’re so glad to hear that you guys are using them and like them! Thank you! 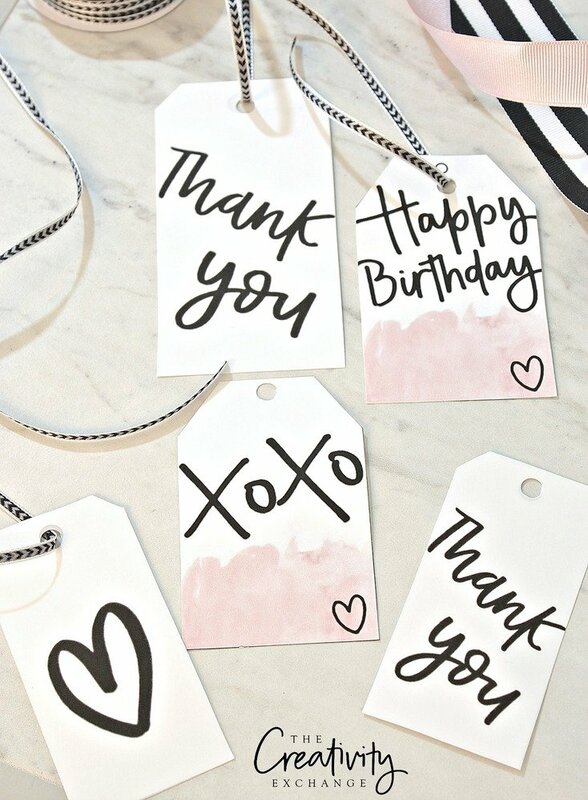 For today’s post, Jo has created more hand lettered goodies for us but this time, she created beautiful printable gift tags. 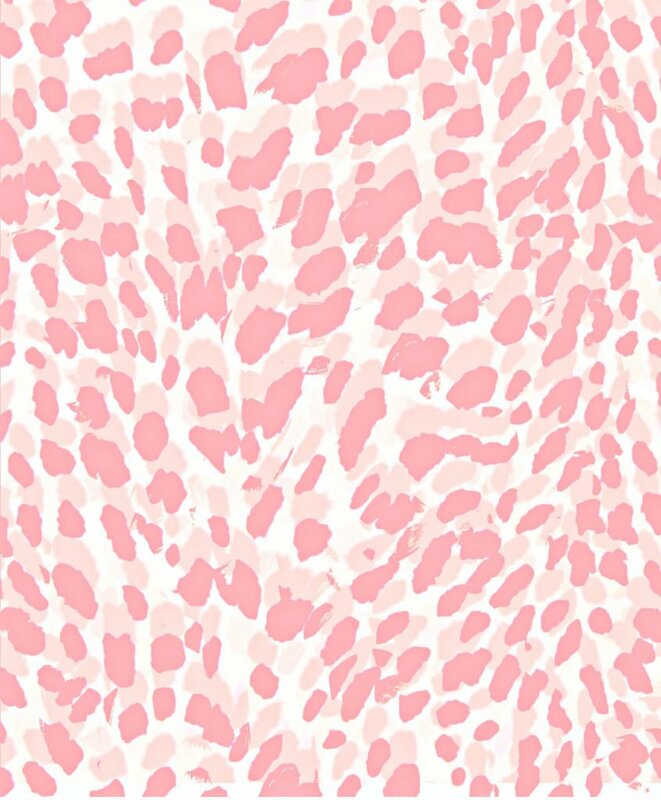 I added some fun leopard print gift wrap that I designed for us to give you guys a pretty and fun set for creative gift giving. On to Jo and today’s post! Hi everyone! I’m so excited to be back again after last month’s amazing response to our pantry labels. 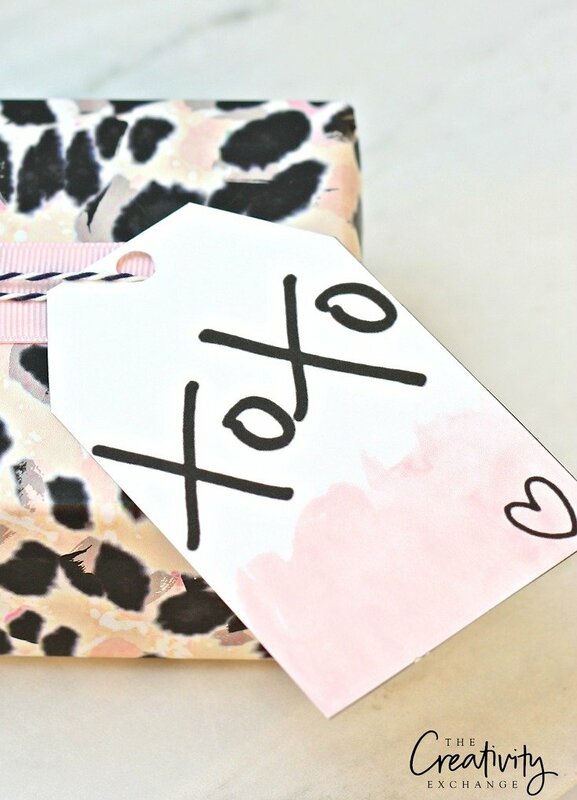 This month, I have more hand-lettered printables for you in the form of gift tags. 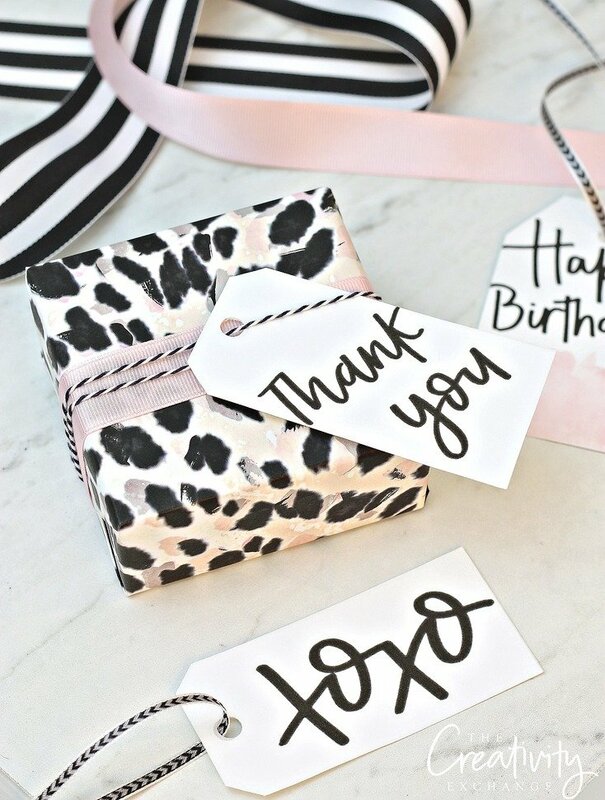 The printable gift tags and gift wrap are great to have on hand for gift giving and they are also more generic, so you can use them for all kinds of different occasions. One of the sets is simply hand lettering and the other set comes with a pretty blush watercolor paint swipe. Best of all, the lettering is the exact same style that I used as the pantry labels that you all know and love! 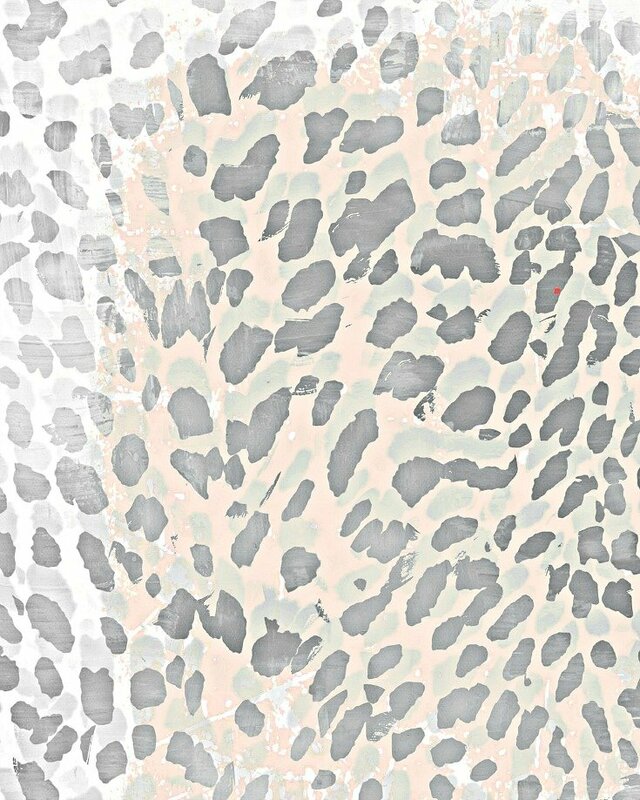 Super fun, loopy and modern! In order to print the sets of gift tags and wrap, you will need to have a PDF reader installed on your computer. If you do not have a PDF reader, you can download Adobe Acrobat Reader for free here. Also, for the gift tags, you will want to use plain standard 8.5 x 11″ smooth white card stock (no linen lines works best) and for the gift wrap, plain 8.5 x 11″ copy paper works perfect. 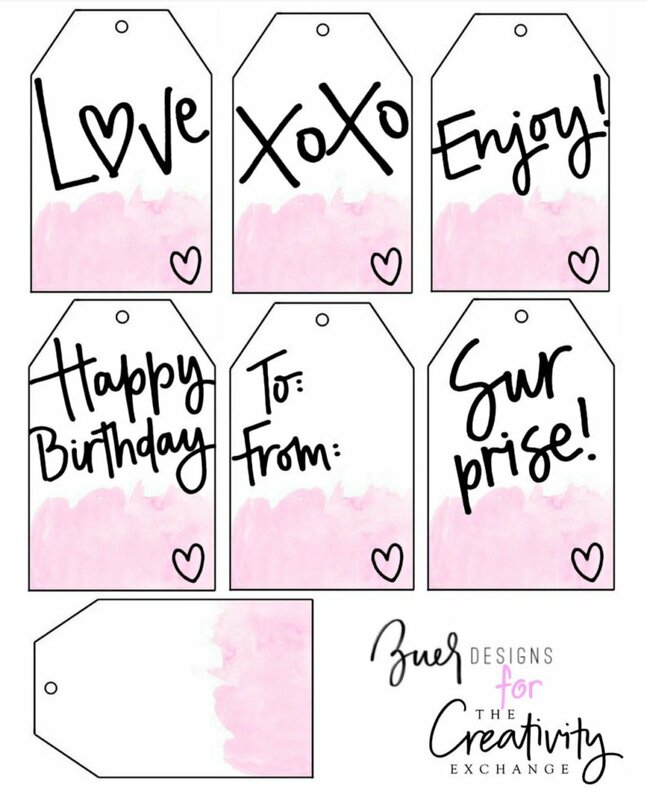 I hope you guys enjoy the tags and gift wrap and as always, I would love for you to tag me on Instagram here or by using @zuerdesigns if you have used any of my printables, I would LOVE to see what you do with them! 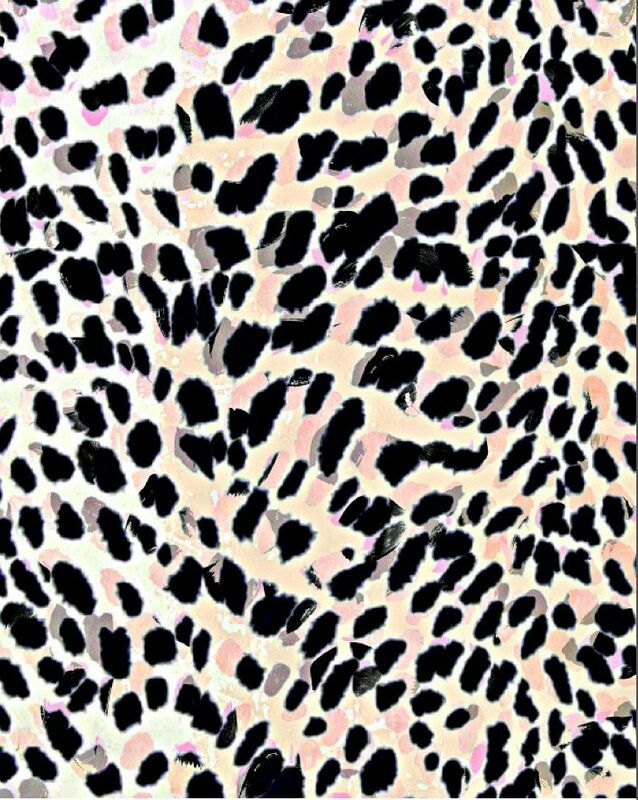 Love the prints, always been a fan of animal prints. 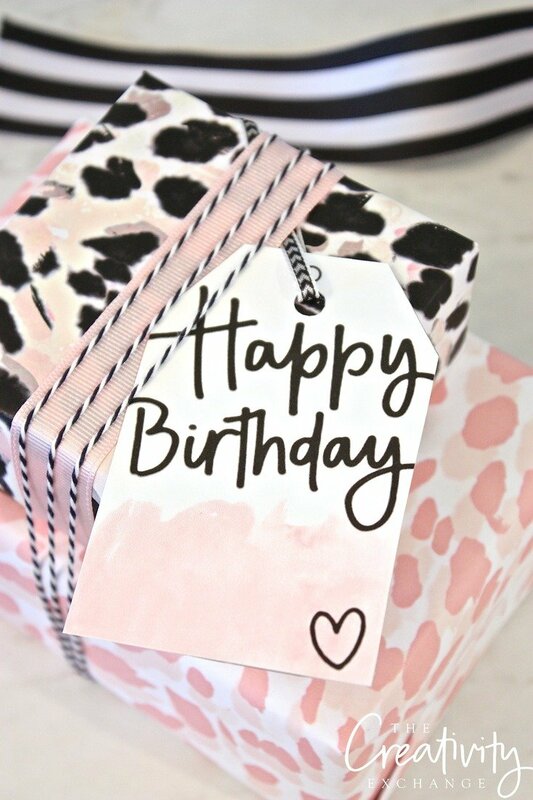 I love to wrap and about 15 years ago formed a gift wrapping service in Las Vegas. Catered to the casino’s Slot Tournament events. Know I’ve wrapped 1’000’s of gifts and with bows, too. Gifts that are given to a recipient that have been wrapped really show how much you care. I love the pantry labels…I have printed them off and have been working on my pantry….starting to look great.